Dr. Emery Placing Dental Implants! This week before the amazing holiday weekend, we were rockin’ it at the loft and attended several after-work events. Dr. Emery has her new Orthophos XG 3-D scanner, so we met with our Biohorizon rep to discuss using their implant system and Dr. Emery placing dental implants. With the best Chicago dentist and our out-of-this-world technology, Sugar Fix Dental Loft is ready to place implants again with our new technology! Dr. Emery has placed several implants before, but this technology makes it so much easier to plan and help show the patient exactly what we are doing. Our patients love seeing the digital placement of implants because the visual really helps them understand! Our favorite team at Periodontal Medicine and Surgical Specialists LTD. uses the same implant system, and it is great to have everyone on the same page if we are working on a complex case. 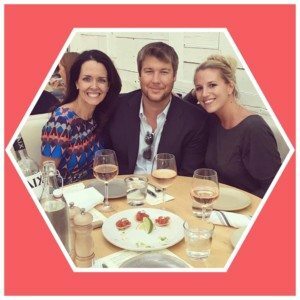 Here is a picture of the Sugar Fix and Biohorizon team at Summer House Santa Monica discussing Dr. Emery placing dental implants! Talking dental implants with the pros! We saw a great new patient for Zoom whitening this week. His results are great, and he is so happy with his new, bright, white smile! 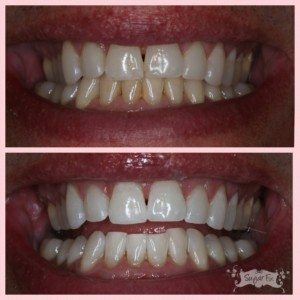 We also made him custom Zoom whitening trays to take home and use for touch-up treatments a few months down the road. This is always perfect to do before events to make your smile POP! 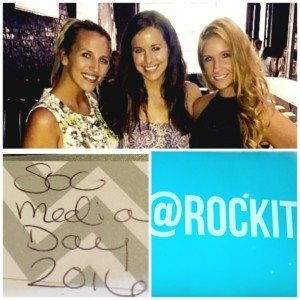 On Thursday, the Sugar Fix team celebrated Social Media Day Chicago 2016 at Rockit bar in River North! Obviously, Sugar Fix had to attend to show our love and support for this amazing, ever-growing way of communication. As everyone knows, Dr. Emery has five instagram channels, a twitter, facebook, and now a Snapchat account (drjessicaemery) to keep our patients and fans “in the know” of all the fun we have as a team at Sugar Fix! Sugar Fix @ Social Media Day 2016! 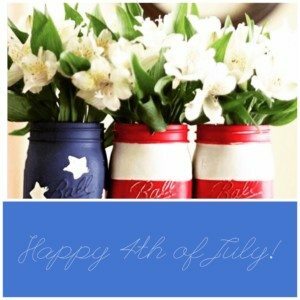 We wish you all a great weekend and hope that you have a fun and safe 4th of July!